We love working with high school seniors - that's why we built our studio with the goal of giving you the ultimate senior portrait experience! We are privileged to get to meet and work with so many unique, talented, caring, funny, and all-around awesome young people! Every day is a pleasure working with you and your families. We are Randy and Melinda Dellinger. We recently moved to Renton from Redmond where we raised our two sons - Mitchell (Redmond HS Class of 2008) and Tyler (Redmond HS Class of 2011). Randy is our lead photographer and manages our in-house custom lab. Melinda handles our marketing, customer care, and general business management. When we aren't working on the business, we love skiing, backpacking and spending time with friends and family. 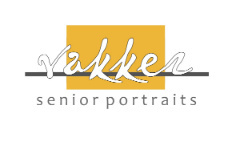 Our wonderful and dedicated staff includes Melissa (her 18+ years with us means she has the answer to every question), Danielle (your senior session will be so much fun with her - she's a talented and caring photographer), plus our team of amazing makeup artists. Together, we work hard to make Vakker the best studio for you and your family to enjoy. Our outdoor portrait park and studios are really comfortable and fun. We are conveniently located in Bellevue near SR520. We have a big camera room and a pretty outdoor portrait park right here at the studio, so you get both indoor and outdoor looks with maximum convenience! Our gorgeous backdrops and props in our indoor studio allows us to create unique looks to coordinate with your style. We look forward to working with you to create amazing images for you and your family.